Influencers working on an assignment with CopyPress should know how to execute all aspects from acceptance to completion. This article will walk you through the influencer process from accepting an assignment and writing the article, to publishing the article on your website and submitting the backlink for review. If you've been offered an influencer blog assignment, then you'll need to complete the project inside the CMS. You write an article and submit it. Your article is scanned for uniqueness by CopyScape. An editor reviews your article (they may request revisions). A QA member reviews your article (they may request revisions). Client reviews your article (they may request revisions). Once approved, you publish the final article and submit the URL. Your project manager reviews and approves the URL submission. Below is a rundown (start-to-finish) of how to complete an influencer project. You will receive an email notification when you have a project offer open. If you'd like to accept or decline the offer, you'll need to log in. Once logged in, you will see your pending invites in the dashboard view and can view all by clicking the link below "Pending Invites." Once you are on your "Task Invites" page, you can see all open assignments. 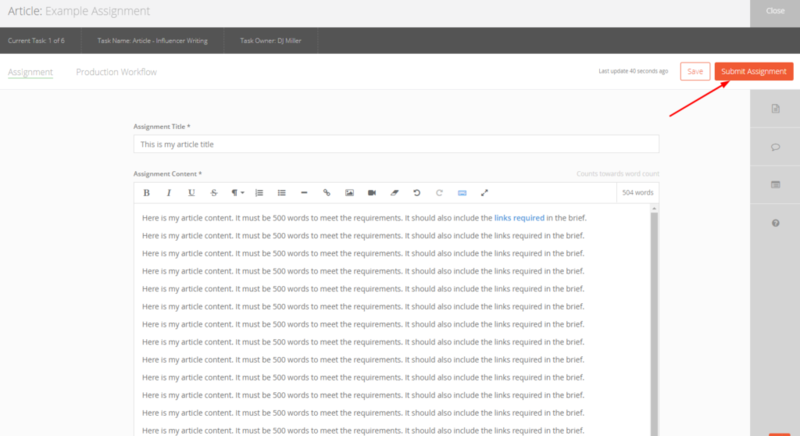 You'll be able to see the task name (for influencers, you'll have the task "Article - Influencer Writing" and "URL Submission - Influencer" for each assignment. These are two separate tasks, but they fall into the same assignment), the Assignment Name, the Pay Amount, Word Count, Start Date, Due Date, and other details. Select the boxes next to all the tasks you want to accept responsibility for and then hit "Accept" on the far right. Once you accept a project, you'll then be able to click on your Tasks dashboard to see more details about your tasks for each assignment. In the My Tasks section of your account, you will see tasks that are "Upcoming", "In Progress", "Submitted", and "Completed." All tasks marked as "In Progress" are ones that you need to complete. All tasks that are "Upcoming" will be completed at a later date. You will receive email notifications when you have tasks that move from one status to the next. This action will open a new window which is your article assignment window. This is where you will complete and submit your article assignment for the influencer project. In your article assignment window, you'll see a few important features. A. Assignment Title: This is where you will input the title of your article. B. Assignment Content: This is where you will write your article. You can also use this section to add your images, links, and other elements of your article. If you write your article in Word or another outside dashboard, you will need to reformat when you paste into here (all formatting is removed when pasting content). C. Assignment Brief: This is a very important widget!!! This is where you will find details about your specific assignment, including things like: Word Count, Article Topic, Article Direction, Links to add, Resources to use, Pay Rate, and Due Date. You will also find details about the Style Guide and other important information that you will need in order to complete your assignment inside that panel. D. Comments: This is the area of the page where you can leave comments about your submission, and where you can ask questions to your project manager. It's also where the editor and QA member can ask you questions or answer any questions you may have for them. This is where ALL communication about this specific assignment needs to be. E. Activity Log: This window will let you see all actions that have happened on this specific assignment. This could include, you accepting the offer, you submitting the first draft, the editor requesting a revision, you submitting the second draft, etc. This is just a nice way to track the activity of the assignment. F. Help Widget: Some pages in the CMS will have a help wizard that walks you through the different elements of the page. If you want to refresh yourself, click the question mark icon to get a walk-through of all elements on the page. 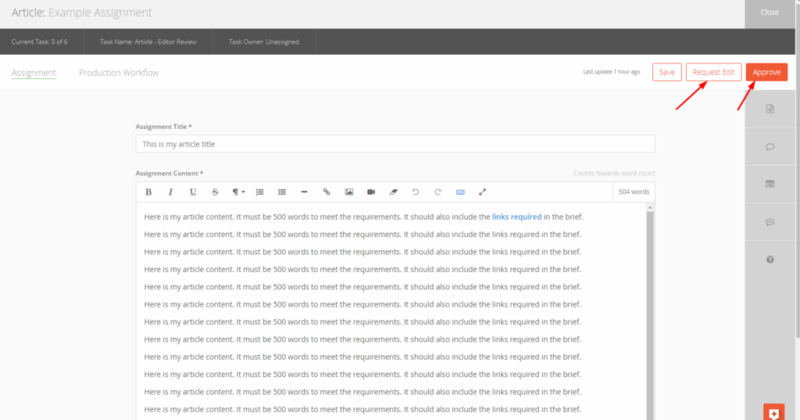 Live URL Submission: Below the Assignment Content, you'll find the Live URL Submission field. This is where you will eventually add the link to the article on your website (or wherever you were assigned to publish the article). This field will be visible during the Article Writing task, BUT YOU SHOULD NOT COMPLETE IT DURING THE ARTICLE WRITING TASK. This field is where you will submit the live article during Task 2, so leave it blank until the article has been approved and published. After you have written the article to the specifications outlined in the Assignment Brief, you are ready to submit. In the top right corner, you'll see the Submit Assignment button. If you have not hit your Word Count requirement, you will not be able to submit the article. Before you submit, double check that you meet all the requirements (links, images, length, etc.). After you submit, an editor, QA member, and the client will all review your article. If they have revisions, they will send it back to you to revise. If they have minor edits, they'll make those here. Once the article is finally approved, they'll hit approve. If they do request a revision, you will receive details about their edit request. The approved article is the one you need to publish on your site! It may be different than the original one you submitted. Once the article has been Approved by the editor, QA team, and client, you will get a notification that the URL Submission task is now "In Progress" and you can now complete it. 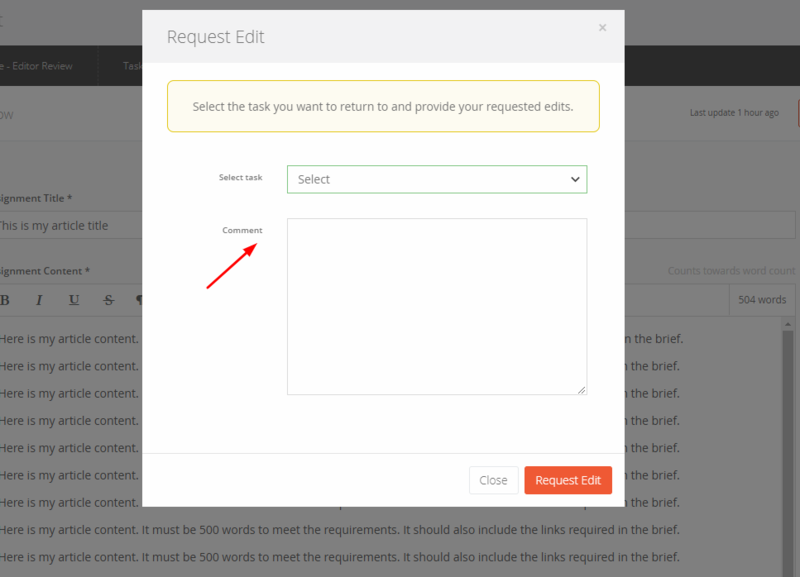 To complete this step, you need to click on the Assignment name to open the approved article window. 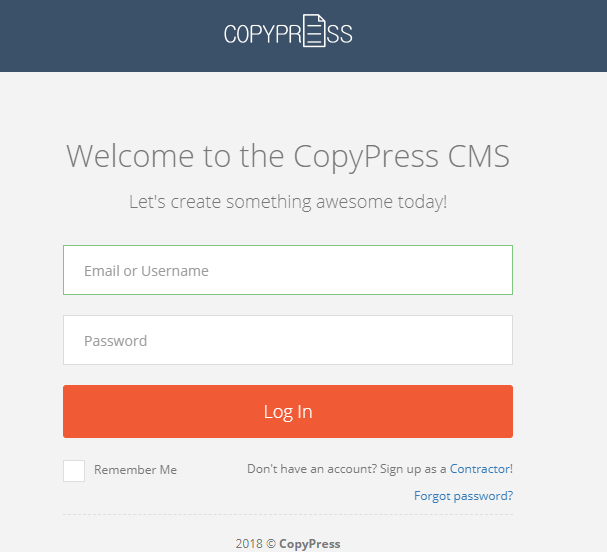 You will then need to copy this article directly from this window and publish the approved article on your blog or the site you agreed to publish on via the Influencer questionnaire. You should only publish the final Approved article as some edits and corrections may have been made and this version was the approved article from the client. After you publish the article, you need to submit the URL link in the field Live URL Submission under the Assignment Content field in your Assignment window. After you submit the Live URL, the project manager for your assignment will be notified to review your submission. If the URL matches the approved article, the project manager will Approve the assignment and it will be finished. If there are any issues with the article that you published, then you will receive an edit request to make revisions before the assignment is complete. Once complete, you'll see the two tasks inside the Completed section of your My Tasks dashboard. Payment will commence within 90 days from the week your assignment was submitted.